Whether it’s fun in the sun, a family adventure, or discovering charming and unique shopping, dining and attractions, Lewisville is the place to find it all. Visitors and residents enjoy a 2,000+ acre nature area, a historic downtown, Lewisville Lake and Vista Ridge Mall. Offering a strong and dynamic business community with a robust blend of businesses, Lewisville is a thriving economic hub with superior access and infrastructure, a low tax environment and quality workforce. With new single-family, townhome, multi-family and transit oriented development (TOD) projects underway, Lewisville is a great place to invest in a family’s future. Just minutes from DFW International Airport and two major highways, Lewisville is perfectly positioned for easy access to the rest of North Texas and the world. Quality schools, safe neighborhoods, family-friendly recreation options and the most retail square footage per capita in the region are just some of the many reasons to choose Lewisville as your place to live, work and play. Lewisville’s economic advantage is already reflected in its nearly 45,000 existing jobs – and that number is only going up. Economic development agreements signed in 2016 will bring about 1,200 jobs to Lewisville over the next few years. More than 6,800 building permits were issued during 2016, and more than 1,500 of those were for single-family homes. An upscale multi-family development is in design at Tower Bay, with resort-style amenities and views of Lewisville Lake. Transit-oriented mixed use, including multi-family housing, is being planned for two locations near the Old Town train station. 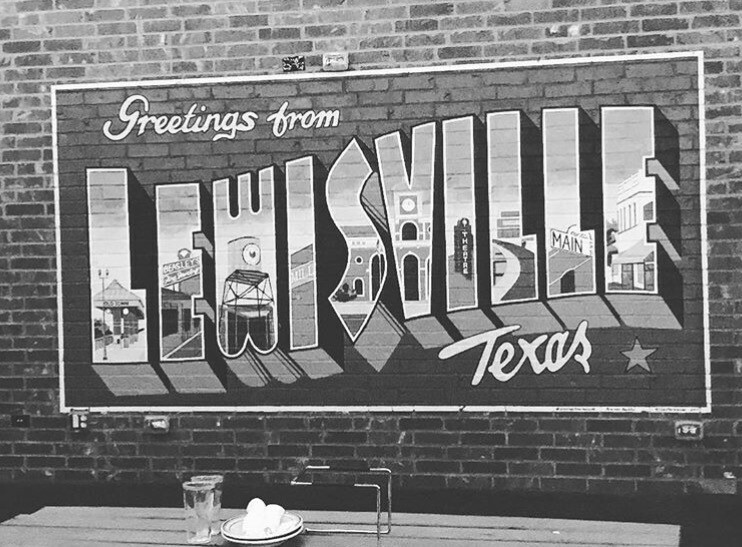 Lewisville 2025: The Lewisville 2025 plan sets a clear shared vision for the kind of community Lewisville wants to be when it turns 100 years old in 2025 – a place that people choose to live, work and visit. Its Green Centerpiece will provide visitors with opportunities for fishing, hiking, camping, canoeing and botanical/wildlife research in the heart of a city, connecting to major destinations. Renovations to Old Town Lewisville include new urban living, restaurants, entertainment and a downtown workplace. Lewisville will invest in existing and new neighborhoods to make Lewisville the location of choice for all ages and incomes. More than 65% of the adult population in Lewisville has had post-secondary education. Key Lewisville employers include JP Morgan Chase, Xerox, Medical Center of Lewisville and SYSCO. Mary Kay broke ground in 2016 on a research and production plant that will employ 500 people, and Bed Bath & Beyond opened its e-commerce warehouse at Majestic Airport Center, creating 700 jobs. Other new employment centers opening during 2016 include Federal Express and Norman International, bringing about 1,000 jobs collectively. During 2017, Mortgage Contacting Services will move from Plano to Lewisville, bringing hundreds more jobs. Current major employers Hoya Optical and TIAA have both expanded their operations in Lewisville, adding new jobs at both sites. Sounds of Lewisville: Sounds of Lewisville is a free concert series that takes place Tuesdays in June & July, and features a variety of genres and can be enjoyed by the entire family. Best Little Brewfest in Texas: The only craft beer festival where 100% of the proceeds are designated for charity. The event includes beer sampling and a brewing competition, local bands, a car show and food trucks. Western Days Festival: This festival in September truly captures the spirit of the Wild West. It features three stages of live music, Ghost Horse Native American Dancers, the Legends of Texas gunfighters, a mechanical bull attraction, a working Old West jail for photo ops and a working blacksmith. Colorpalooza: Visitors will get to show off their artistic abilities, watch skilled artists create one-of-a kind sculptures and paintings, marvel at colorful sidewalk chalk art, and learn how to better care for the Earth at this celebration in April. Daddy/Daughter Dance: Daughters can dance the night away with their favorite man in April, a different fun theme occurring every year. Doggie Dive-In: At this “off-leash” event in September, the darling doggies get a chance to take a refreshing dip in the pool, enter contests in hopes of winning special treats and play with other cuddly canines. Classic Car & Truck Show: A free Spring Classic Car & Truck Show hosted by Time Machine Car Shows rolls through The Village Shops & Plaza in style every September. Lewisville Public Library offers programs for all ages, including: reading and language programs, adult craft nights, wide array of engaging teen activities, children’s programs and family matinees. Teen Volunteer Program: For teens ages 14 – 18 years interested in getting involved in their community, or earning volunteer hours for school or extra-curricular activities. Greater Lewisville Arts Alliance: GLAA is dedicated to the development and promotion of the arts for the enrichment of the quality of life in the greater Lewisville community. 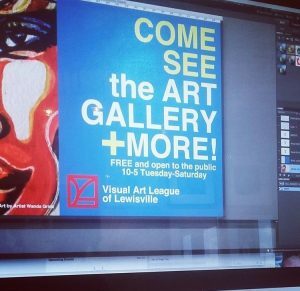 The Visual Art League of Lewisville: An all-volunteer organization with members who share an interest in the visual arts and fine crafts. Organizes shows each year, provides local artists the opportunity to showcase their work, produces visiting artist lectures, networking groups and educational art activities. Youth Action Council: Exceptional Lewisville teens ages 15 – 18 will advise Council on youth related issues; assist with special projects and events; research, assess and evaluate existing youth and community programs; and design and plan new youth events and activities to encourage youth involvement in the community. Sun Valley Aquatic Center: Cool off at this local water park, featuring a 25-yard competition pool, lily pad/activity area, leisure pool with play features, two double-loop slides, a lazy river, tot pool and concession area. Old Town Aquatic Park: Splash and play in this water park’s two leisure pool areas with play features, double loop slide, three spraygrounds, lazy river, concession area and playground. Lewisville Farmers Market: The City of Lewisville is partnering with Four Seasons Markets to bring the Lewisville Farmers Market to Old Town every Thursday from April to September. The farmers market offers a wide variety of fruits, vegetables, pastas, breads and flowers, many of which are from the Lewisville area. Lewisville Lake Environmental Learning Area: Visitors to LLELA can enjoy a variety of recreational activities such as hiking, wildlife viewing, fishing, kayaking/canoeing, camping, picnicking, night hikes and star gazing on the prairie. Frederick P. Herring Recreation Center & Memorial Park Recreation Center: Multi-purpose centers collectively featuring three gymnasiums, eight pickleball courts, four racquetball courts, two fitness rooms and nine classrooms. 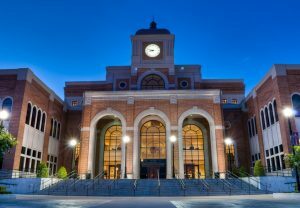 Multigenerational Center: This $38 million Center is currently in the design process, scheduled to open December 2019. It will boast multiple water slides, a senior center, multi-level natatorium, fitness rooms, community room and giant courtyard. Lone Star Toyota of Lewisville Railroad Park: This park features the largest hybrid skate park in the Metroplex, a six-acre dog park, 16 sports fields, walking/jogging trail and three man-made lakes. 25 parks that offer a wide range of activities at our parks, including playground areas, jogging trails, picnic areas, disc golf, and tennis. 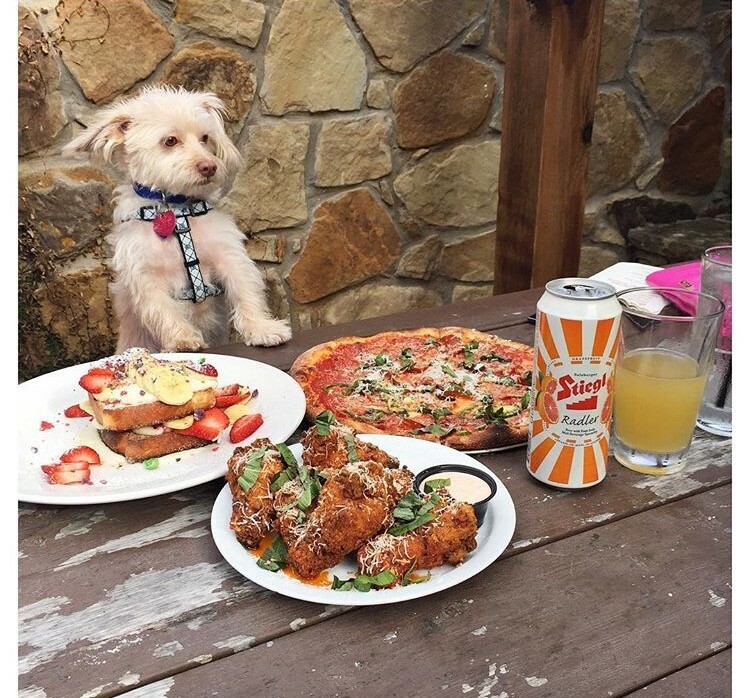 Tierney’s Cafe & Tavern: Winner of Best of Denton County 2013 and features American fare served in an 1885 home with a roomy patio, full bar and live music on weekends. Parma Pasta Pizza: Strip-center outfit that serves NYC-style Italian entrees, pastas and pizza in a buzzy setting. Italian Villa: Casual eatery for Italian standards including homemade pasta and Neapolitan pizza, plus lunch specials. Kyoto Hibachi & Sushi: Splashy tableside grilling plus sushi, hot pots, katsu and more in elegant wood-clad surroundings. Kaji Sushi & Grill: Storefront eatery serving sushi, Pan-Asian entrees and bento boxes in a casual, contemporary space. 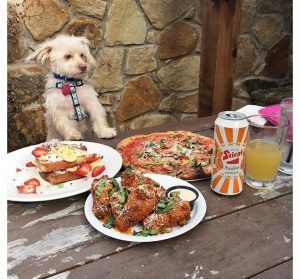 Pie 314: Rustic-chic haunt with gourmet pizza and other seasonal meals, plus an outdoor patio and weekend brunch. Sneaky Pete’s: This bustling waterfront bar offers American eats, dancing, beach volleyball and swimming pools. Mattito’s: Wednesdays. Kids ages 12 and younger eat free with purchase of an adult entree after 5 p.m.
Hat Tricks: Lewisville’s premier live music and sports watching venue has quickly become North Texas’ place to be for all things red dirt and beyond. Cobra Brewing Company: A local microbrewery hosting the public on Fridays & Saturdays with casual eats, games and live music. Crazy 8’S Billiards: Equipped with games, the best shuffleboards in town, dartboards and top-notch, recently re-felted pool tables. Lone Star Taps & Caps: Roomy bar and store offering 50 beers on tap, plus growler fill-up and a wide range of bottled brews. Coyote Drive-In Lewisville: Coyote is bringing drive-in movies back and then some with five screens, a fast casual restaurant and kids play area. Zone Action Park: Amusement center with go-karts, arcade, miniature golf, batting cages and a bounce zone for kids. AMF Lewisville Lanes: Long-standing bowling alley featuring casual grub and pitchers, leagues and party events. Medical Center Lewisville Grand Theater: This spacious contemporary venue features theater performances, events and classes, plus an art gallery. Enjoy the sounds of the Black Box Songwriter Series and Acoustic Friday Jam Sessions or get a taste of the arts with the Dance Arts Center, Our Productions Theatre Co. Young Artist Training Program or Visual Art League. Big D Cats: Cruise and Sail with BigDCats! We offer party boat The Chamonix II Sailing Yacht on Lake Lewisville. We are the best way to cruise with your guests, friends and family. Interskate Roller Rink: A roller skating rink and family entertainment center, InterSkate is a perfect place for fun, especially with our huge state of the art sound system. Escape Rooms HQ Lewisville: Our escape rooms are cerebral entertainment. Search for hidden clues, solve cryptic puzzles and escape disaster in under 60 minutes. Can you think creatively and work as a team to escape before the clock runs out? 1 Hour to Escape: Work together with your friends or total strangers, using the clues provided to solve intricate and challenging puzzles in an attempt to escape within the hour provided. Armed with nothing but your wits and your team, will you be able to escape before the clock runs out? Gatsplat: The first of its kind in DFW, this indoor paintball facility has had over a quarter million players come enjoy the indoor paintball experience that GatSplat offers. Lewisville Lake: As one of the largest lakes in North Texas, Lewisville Lake is great for fishing, skiing, swimming, boating, camping, hiking, biking and relaxing. Visitors can also enjoy the numerous parks located around the lake. The Actors Conservatory Theatre: The ACT is dedicated to bringing classic literature to young minds through plays and musicals while promoting interest in and fostering appreciation of the performing arts in children. Greater Lewisville Community Theatre: Encourages everyone to sample what they have to offer, from acting, directing, music, dance to the technical aspect of the theatre. LakeCities Ballet Theatre: Offers local audiences the opportunity to experience world renowned visiting guest artists while also providing a venue for student dancers to perform and train with professional choreographers and dancers. Lewisville Lake Symphony: Widely regarded as one of the best regional symphony orchestras in Texas. Lake Park Golf Club: Situated along the shores of Lake Lewisville, Lake Park Golf Club’s picturesque championship golf course has been named by Golf Digest among the “Best Places You Can Play” due to its immaculate conditioning and playability. Utilities: The City of Lewisville franchises residential trash and recycling services, multi-family trash and recycling services, and commercial trash services with Waste Management. For water billing inquiries, please contact Customer Service at 972-219-3440.